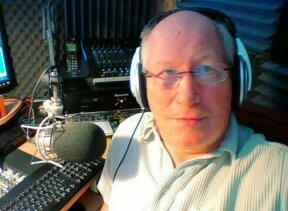 Dave has over 40 years of experience in the world of radio broadcasting. He started as a studio assistant at BBC Radio Leicester in 1976 and has since worked in both commercial and public radio in The UK and Indonesia. Dave currently operates his own internet radio station, "Classic Hits UK", which showcases the hits of the 60's & 70's and is heard in over 95 countries worldwide. His special love of the 70's is reflected in his show, "That Seventies Sound" which he produces and presents to stations around the world. Dave brings the same enthusiasm to "The Beatles Minute", sixty seconds of Beatles trivia, stories and insight into the greatest band in Rock 'n' Roll history. We are delighted to have Dave as a part of "The Mop Tops & The King" family.